This group assesses impacts of mining activities on flora and fauna; develop innovative approaches to restore ecosystem services and practices that encourage recolonisation by native species; examine the resilience of ecosystems under specific disturbance regimes; discover and understand the utility of metallophyte plants; create approaches for the recovery and sustainability of disturbed land. The Kenya project work assesses the environmental impacts of anthropogenic activities and disturbance on ecosystems, particularly in the context of new infrastructure rather than mining. 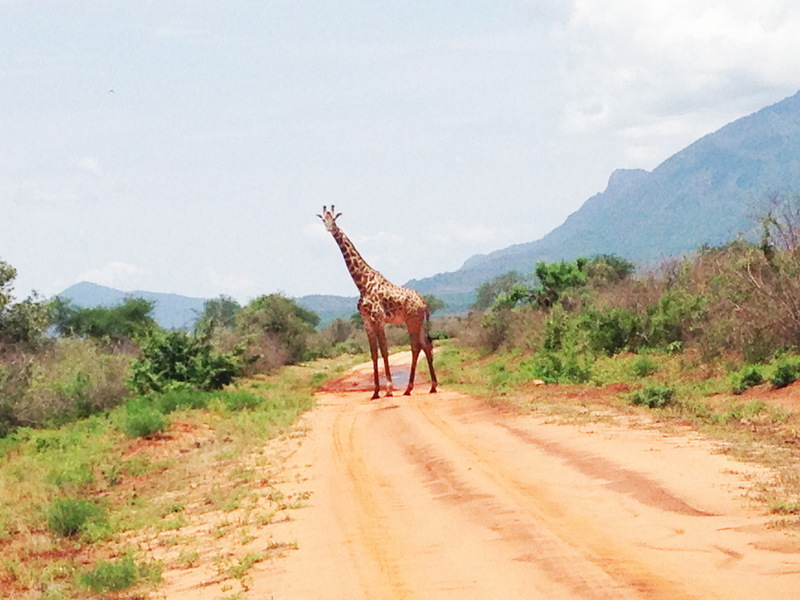 We are modelling the movements of a suit of mammal species to understand the effects that a proposed Expressway will have on wildlife across a large area of Kenya. This modelling will be used to the propose mitigation strategies and assess the most appropriate locations for the placement of wildlife crossings. Hyperaccumulators are unusual plants that accumulate particular metals or metalloids in their living tissues to levels that may be orders of magnitude greater than is normal for most plants growing on similar soils. Discovering hyperaccumulators and understanding their agronomy could lead to identifying potential species to be utilized in novel phytotechnologies such as phytomining for phytoextraction of valuable metals. Currently, there are approximately 450 documented Ni hyperaccumulators worldwide. The majority of the nickel hyperaccumulators have been recorded in Cuba (130), Southern Europe and Minor Asia (80–90), and Malaysia (24). In New Caledonia there are 65 documented Ni hyperaccumulators. 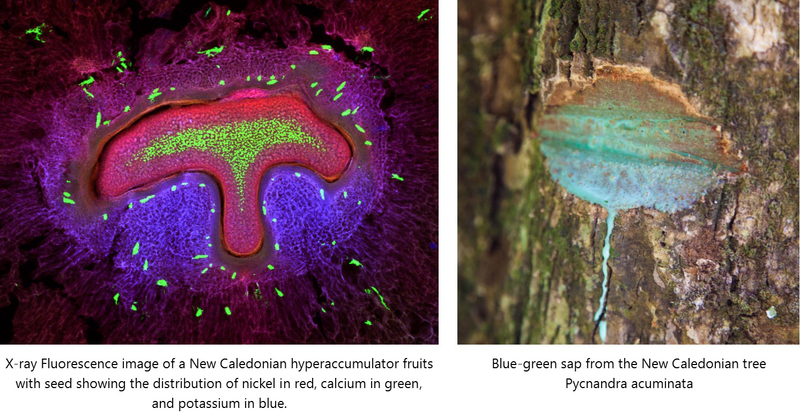 One of the most unusual is the tree Pycnandra acuminata, endemic to New Caledonia, which has a latex that contains up to 25.7 Wt% nickel colouring it blue-green from nickel ions. The current research has been undertaken as part of Vidiro Gei’s PhD project. 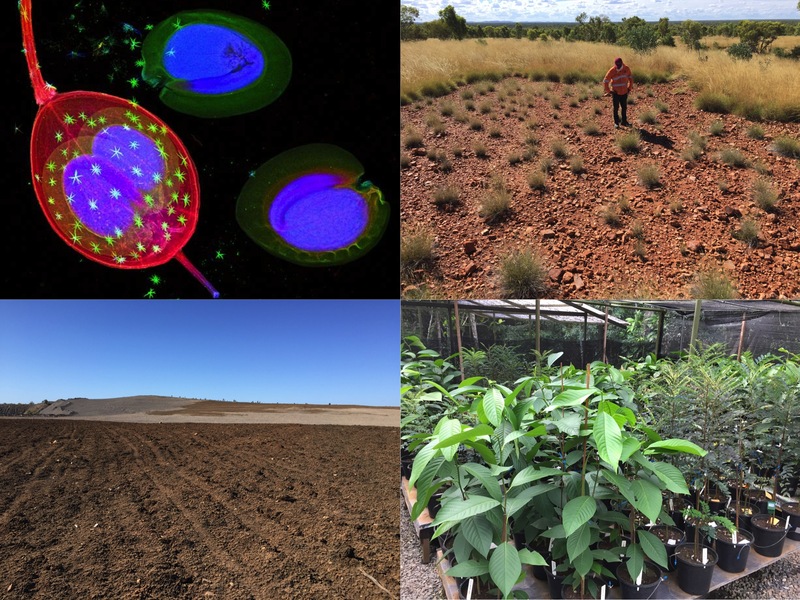 Her study aimed to spatially resolve the elemental distribution in five different New Caledonian nickel hyperaccumulator plant species using synchrotron-based micro-X-ray Fluorescence imaging. The experiments were undertaken at X-ray fluorescence beamline (P06) of PETRA III (Deutsches Elektronen-Synchrotron; DESY) in Hamburg, Germany with collaborators from New Caledonia and France. How do engineered landscapes respond to fire? This project aims to test established rehabilitation by applying fire and measuring the vegetation and landform response in the 2 years following the burn. The project is using high spatial and temporal spectral imagery captured by drone along with ground surveys to assess fire severity and recovery, and determine the long-term impacts on lease relinquishment for a number of sites in Queensland and New South Wales. Fires have been conducted at Curragh Mine, Glencore Newlands Mine (night burn photos) and Ensham Mine.